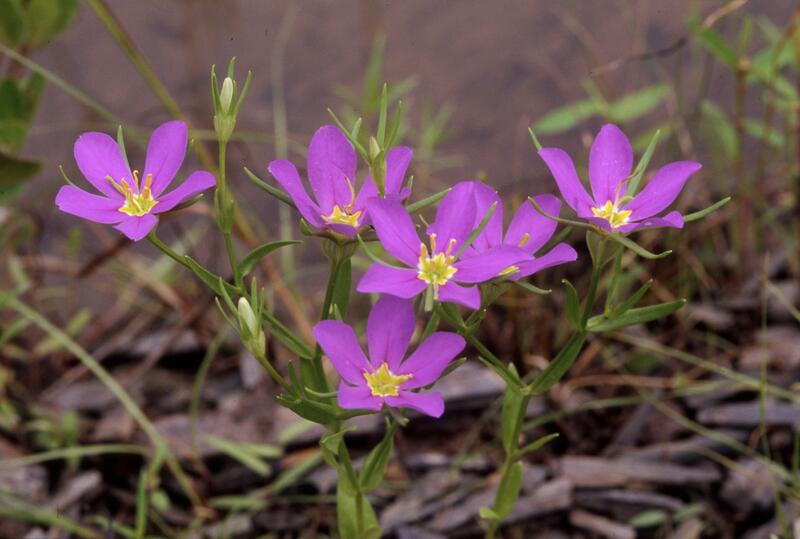 Pelton's rose-gentian, Sabatia arkansana (Gentianaceae). Photograph courtesy of John Pelton. The Vascular Flora of Arkansas Project is a cooperative effort among botanists, both within and outside of Arkansas. The goal is to produce a comprehensive Flora of the State’s vascular plants. The Flora will include keys to taxa, descriptions, range maps, pertinent synonymy, and illustrations. Supporting information on the State’s botanical history, physiography, geology, soils, climate and vegetation will also be included. The Committee has met informally several times to lay the groundwork for the Flora. Additionally, we have met with a “Users Group” consisting of individuals from State and Federal agencies and the private sector. This meeting had two goals: to let potential users of the Flora know what we were doing; and, to determine what users would find most helpful. A Flora Conference was held in May in Fayetteville, AR, to formally announce our project. 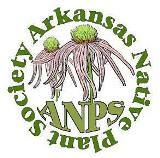 On May 19, 2000, ANPS member Dr. Johnnie Gentry hosted a “coming out party” – the official kick-off of the Arkansas Vascular Flora Project. The Flora Project is a compilation of information on all the native vascular species of our state – including confirmed ranges, identification keys, and illustrations and/or photographs of typical plants or specific features of a plant to assist in identification. Over the expected eight to ten years for completion of the project, teams will also be in the field collecting herbarium specimens. Dr. Gentry has assembled an impressive committee of botanists from colleges and universities across the state and even into Louisiana. On the above date, Dr. Gentry and his committee members heard presentations by other botanists who had worked on similar projects in Missouri, Oklahoma, and Texas. A “User’s Panel” of representatives from the ANPS, Arkansas Nature Conservancy, and the Department of Natural Heritage discussed ideas on how the Flora could be developed for maximal benefit as well as thoughts on what the different user groups could offer as assistance in furthering the program. The final presentation was from botanists at the Missouri Botanical Garden who discussed the massive project directed there – The Vascular Flora of North America. Dr. Gentry closed the day giving a charge to each participant, guest, and observer to tell at least twenty people about the project and what it will mean to us in the future.